Static Magnets vs Pulsed Electro-Magnetic Field Therapy – what’s the difference? Static magnet therapy has been in use for thousands of years, and offers a non-invasive means of increasing circulation and supporting the body’s natural ability to repair and restore itself. As technology has advanced over time, so too has our understanding and ability to harness this therapy. The creation and use of Pulsed Electro Magnetic Field (PEMF) therapy in the late 1970’s was a huge turning point for magnetic therapy, as it was now able to be electrified, pulsed, and directed to where it was needed most, at a frequency best suited to its task. Now days, both static magnet and PEMF therapies are available for personal therapeutic use, although the way they work and the results they offer do vary. So, what’s the difference between the two? And which one should you choose? When used directly against the skin, static magnets will influence the bioelectrical composition of the tissue underneath. While the magnetic field generated is unchanging, the blood flowing through the tissue contains charged ions, which are drawn to the magnetic placement. While the effects of static magnets have historically been largely anecdotal, scientific studies into their use have yielded encouraging results. In 1997, a study into the use of static magnets in a hospital environment found that when the magnets were placed over trigger points, they provided significant pain relief to patients suffering from nerve damage. A 2009 study yielded similar results, with one patient citing a 90% reduction in pain upon application of magnet therapy. The use of magnet therapy is also often beneficial following long distance travel, and may assist in the promotion of general relaxation. Pulsed Electro Magnetic Field Therapy (PEMF) is separate treatment entirely, in which a magnetic field is pulsed through tissue fibres at a range of pre-set, variable frequencies. The pulsing nature of the magnetic therapy stimulates circulation and cellular activity, and the varied range of frequencies allows the therapy to achieve fast and deep results. On top of this, PEMF therapy is both anti-inflammatory and analgesic, relieving pain and swelling without compromising immune system functions. The therapeutic benefits of PEMF have been scientifically proven and documented to the point that PEMF machines are now commonplace in hospitals, in which they are successfully used to treat fractures, sprains, and to assist in bone reparation following specific types of cancer. 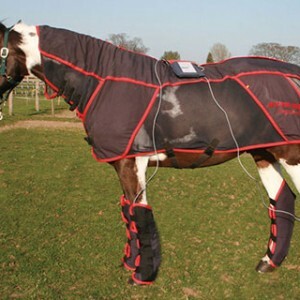 Activo-Med equine therapy systems are the first in the world to combine PEMF with cyclonic massage, allowing your horses to get the full benefits of both therapies. 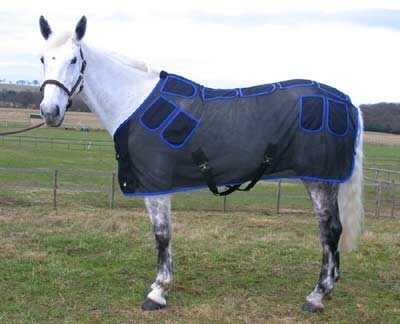 To learn more about how Activo-Med can assist your horse, talk to us today.